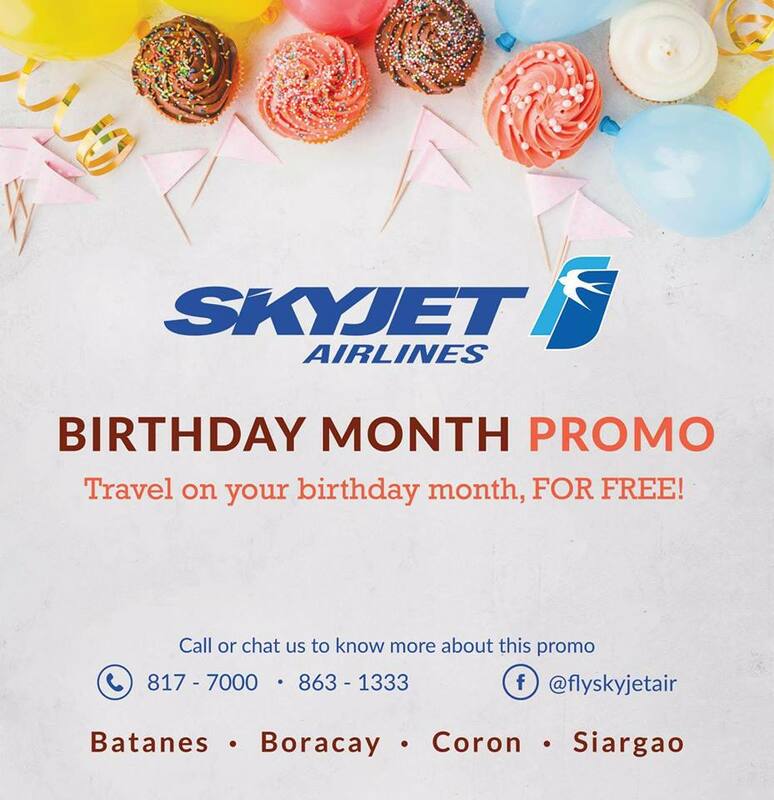 You can now celebrate your birthday at Batanes, Boracay, Coron or Siargao! Check out SkyJet Airlines Birthday Month Promo. 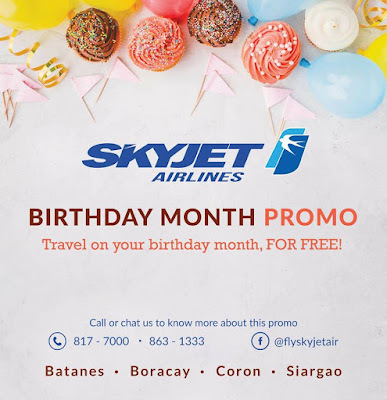 Fly with your favorite travel buddy to Batanes/Boracay/Coron or Siargao on your birthday month and get a FREE flight as a birthday treat from SkyJet! 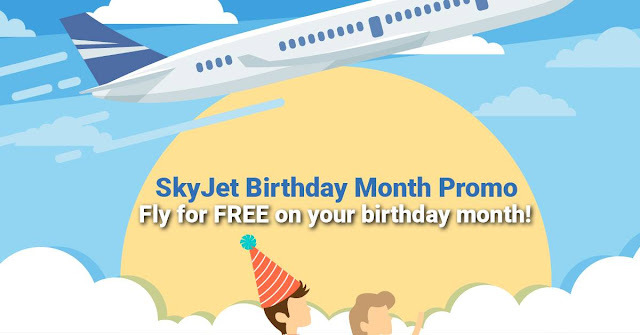 1) Birthday celebrator of all ages can avail the promo on any date of their birth month. 3) Promo is not available ONLINE. 6) Celebrator's FREE ticket is valid on specified date only with NON TRANSFERABLE / NON REROUTABLE / NON ENDORSABLE / NON REBOOKABLE / NON REFUNDABLE / NON CONVERT TO CASH restrictions. 7) Booking and reservation must be at least 7 days prior to departure date (within birth month). 8) Birthday celebrator and the companion must be booked and paid on the same date. 9) Point of origin can be from Manila or from any of the SKYJET destinations. 10) Requirements for Celebrators: Must bring an original and valid issued picture I.D. with the birth date imprinted on it, both local and foreign I.D’s are accepted, for proof as (SSS, NBI, Driver’s license, PAG IBIG, Passport). In the case that the celebrant doesn’t have a government issued picture I.D., He/she may bring his/her birth certificate suppported by any picture I.D. (school I.D., parent’s I.D., company I.D.). 11) This promo can’t be used in conjunction with our fixed, special promo and discounts. 12) Gift Certificates will not be honored with this promo. 13) Promo runs until December 31, 2018. Thank you! Glad to hear the information!